As Graham Oppy pointed out somewhere in The Best Argument Against God, there are thoughtful, reflective people on both sides of every argument. Unfortunately, most people (atheists and theists) are only familiar with shallow, popular level arguments and they often wield the deadly combination of arrogance and ignorance. This can lead to frustration on both sides, as both sides come to think that this is a problem exclusively with the other side. In truth, it is a problem with human beings, as most of us do not critically examine our positions. 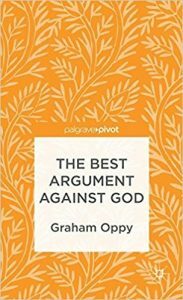 In assessing Graham Oppy’s book, The Best Argument Against God, I want to point out that I am doing it with a measure of respect, because Oppy exhibited a level of humility and scholarship that I typically do not encounter. While Oppy’s book would likely never become a New York Times Best Seller, it is one of the better books written by an atheist. Something that elevated it is precisely what would be distasteful among popular level atheists. His argument is too humble. There is no silver bullet for atheism. In fact, he even repudiated the central argument of Richard Dawkins’ New York Times Best Seller, The God Delusion. On page 25, he wrote that the question ‘Who created God?’ certainly does not cause any problems for theism. Yet many regard this as the silver bullet. Oppy’s approach is more subtle, evidential, and scholarly. He thinks that there is no argument that could decide between worldviews, and there likely never will be. What he does in the book is to provide an evidential basis to prefer naturalism over theism. While none of the arguments on their own will decide the issue, the overall cumulative case will bear a pretty strong evidential testimony for naturalism. Does Naturalism Enjoy A Natural Advantage? With all things being equal, one will prefer a hypothesis that is simpler. That is not to say that the simplest explanation will always be the best one, as the evidence or logical axioms may necessitate or warrant more complex explanations. In the case of naturalism and theism, Oppy argues that naturalism enjoys a natural advantage over theism simply because it contains fewer elements and yet explains all of the data. Since minimal theism will propose the existence of God (excluding angels, demons, Heaven, Hell, the human soul, et cetera), it is therefore more complex of a theory than naturalism. Yet even if we grant to Oppy that naturalism enjoys this advantage, I do not know if it is something that should concern us. Simplicity is only valuable insofar as all things are equal. If one is confident that naturalism lacks the explanatory resources to account for all of the data, then a more complex hypothesis will be necessary. The crucial question will be whether the scales are tipped in the direction of theism. However, the good apologist might think that this concession is a little too much. After all, that would mean that if the evidence were exactly equal, then one should prefer naturalism to theism. But throughout this article, we will explore some non-evidential reasons that theism should be preferred over naturalism, which Oppy touched on in his book. Further, even if we do concede that all things being equal, naturalism would be to be preferred, we should not be concerned simply because all things are not equal. If Oppy’s cumulative case is to stand, he would need to do considerable work assessing and refuting the various arguments for theism, essentially showing that the evidential case for theism is weaker than the evidential case for naturalism. When I started writing this article, I thought of assessing several of his objections. But I have resolved not to now because  he wrote in the preface that he is just sketching a cumulative case, and his objections will not be exhaustive, and  I have already assessed many of his objections and to rehash them here would be boring. Further, writing a review of a book does not require me to refute everything that he says simply because he is an atheist. The fact that he has written far more extensively than in this 90 page book leads me to think that the purpose of this book is to outline a model for how to mount a strong argument against God. So I am going to interact with some of the objections that I had not heard before or I thought were unique, but I think it would be fruitless to do a line-by-line refutation. Oppy said that there are two options available for the naturalist. If she maintains that every possible world shares an initial part with the actual world, then it will follow that the initial conditions given in the universe are necessary. But if she does not believe that every possible world shares an initial part with the actual world, then the cosmic parameters will simply be a brute fact. On the other hand, the theist believes that God chose values for the cosmic parameters so that they will be life-permitting. Oppy argues that this could be a serious objection. If the naturalist allows that there is a greater range of values that the constants might have taken than the theist will allow, then the fine-tuning would weigh in favor of theism. Yet the idea that there is a greater range of values, he says, seems like an “arbitrary stipulation.” Theism is then led to explain the fine-tuning by saying that God’s choosing of the values is just a brute fact. But this explanation is no more satisfying than naturalism’s brute fact explanation. The fine-tuning, then, would be a draw. Morality, reason, mathematics, et cetera, provide a similar objection to naturalism, namely that they each seem to force us to believe that there is something beyond the natural world. We tend to believe that there is a standard of morality beyond ourselves. Oppy said on page 43 that the theistic explanation is unsatisfying, because if God “established” morality, then there was a time in which moral truths do not obtain. He essentially mounted Euthyphro’s dilemma and did not interact with the most potent objection to it, namely that God is, in himself, moral truth. I think that Oppy might be conflating different aspects of moral truth. Moral values are represented by God’s morally perfect nature. But in divine command theory, God prescribes our moral duties by giving moral commands. Oppy may have thought that moral truth is “established” when God gives moral commands, but I do not think that is the case. Moral truths are eternally established. Moral duties are established upon receiving moral commands. However, on page 50 in a slightly different context, Oppy made a point about how we come to know moral truths. The reason that we believe that there is standard of morality beyond ourselves is that we see a moral realm. It is an intuition. But Oppy pointed out that the very reason for this intuition may simply be that we have internalized sanctions against murder throughout the course of human evolution. So the premise that “There are objective moral values and duties,” would need to be further established, grounded on something other than our intuitions. Of course, the problem is that most of us already believe fully in objective moral values and duties. The moral argument will still work so long as you accept that premise. But the grounds for accepting that premise might be shaky, at least on a logical level. One will have to explore better footing for proper basicality. Either way, with the given data, the moral argument seems to reinforce theism’s cumulative case. Every human being has two internal systems, according to Oppy. System 1 is automatic, acquired through biology, and generally not very reflective. We might think of System 1 as something like instinct. On the other hand, System 2 is slow, controlled, and reflective. This might be something like our critical thinking. You may use instinct and critical thinking as generic guides to help you to understand the difference, even if that is a little off. We tend to rely on System 1 more than we would like to admit. Oppy suggests that this two-system paradigm is better explained by naturalism than by theism. If naturalism is true, this system is what one would expect. But I am not sure that is the case. We should not make the mistake of loading motives or expectations onto God, since God is not trying to create an ideal world of perfect creatures. So the two-system paradigm would have to be neither expected nor unexpected on theism. Like naturalism, we can tell a plausible story about how both of these systems came to be. While Oppy argues that this is a point in favor of naturalism’s cumulative case, I am not inclined to give it to him. During his The Absurdity of Life Without God lectures, William Lane Craig makes the point that if the evidence between theism and naturalism is found to be absolutely equal, one should favor theism because it offers intrinsic value to one’s life. A life in a naturalistic world would be inherently unlivable. After all, argues Craig, everything that we know and love, all of the campaigns of human progress will amount to nothing in the end. Second, on naturalism, human beings do not have any qualitative moral quality different from other animals. In response to this point, Dr. Oppy appealed to Aristotle’s Politics, in which he explained what one would need to live a good life. In a good life, the relationship that one has with their family will be goods in and of themselves. They will be of value for their own sake, and this will stand independently of whether everything will come to an end. But the problem is that his description of “goods in an of themselves,” are not actually good in and of themselves. It may be that what is a good for one person is not a good for another. Further, finding meaning in one’s relationships will not grant objective meaning given the imminence of a universal death. Think of what we typically think will make a life valuable. I will think that my life if valuable if I contribute to humanity, if I do something good, if I take part in the progress of mankind. The work of the scientist and the success of cancer research will be thought of as valuable. Yet this value that we perceive is just an illusion and will ultimately amount to nothing. I do not know that Aristotle’s standard (if represented properly) is an accurate measure of a valuable life. The evidential problem of evil does not require that God’s existence is logically incompatible with the existence of evil. Dr. Oppy is arguing that the existence of evil and suffering is what one would expect in a world governed solely by natural law, and not what one would expect in a world governed by God. It is important to keep in mind that Oppy is operating under the assumption that moral truth does not weigh in favor of theism (as he responded to that objected in an earlier chapter). It might be appropriate to respond to the problem of evil with the moral argument in some contexts, but as we have already covered it, I will not repeat the same point here. In dealing with the problem of evil, it is not enough for the atheist to just state it. They need to outline the theodicies that theists have espoused and provide a response to them. So, on pages 70-71 Oppy assessed 7 theodicies and concluded that each one was insufficient. The one that we will focus on is the 6th one. We do not need to know the explanation. We may just throw up our hands and put our trust in God. So long as it is even possible that there is a plausible story explaining evil on a theistic perspective, the problem of evil will not weigh against theism. For Oppy to prove that there is not a plausible story, he would need to conduct divine psychology; he would need to look into the mind of God. He suggested that the benefits received from the permitted evil would have to be given to the individual effected. Of course, there are times when the individual effected by evil will be killed and therefore cannot receive the benefits. He concludes that “It would be obscene to suppose that the baby obtains some goods while it is being raped and killed.” However, he did not provide any reason that the goods would have to be given to the individual affected by the crime. It may be that the goods are given to somebody else at some point in the course of human history. Throughout the Bible, we see accounts of miracles and revelations that far exceed the expectations of the average human life. The atheist may say that if that sort of evidence were to present itself, then they would become theists. Yet most of us do not have encounters with God. God is hidden away, invisible to the world. Well, the first point that I want to make is that the hiddenness argument will only work if one assumes that the evidence for God fails. If there is evidence (and I think there is), the hiddenness argument will not work. Dr. Oppy writes on page 84 though that we ought to “feel reassured that there is an omnipotent Creator who cares for us.” Yet this can be accomplished without God being directly visible. It could be accomplished through the testimony of evidence or the testimony of Scripture. Further, this argument makes the assumption that God’s greatest desire is for people to know that he exists. But this would again to be to conduct divine psychology. That is a major problem with an argument that tries to anticipate what one would expect if God exists. Even the wisest of philosophers cannot say what God would do given certain circumstances. They cannot say that he would create a deterministic universe, whether he would be visible, allow evil, or reveal himself to mankind. The hiddenness argument seems far too speculative to count as evidence for naturalism. The conclusion to Dr. Oppy’s argument against God is that naturalism enjoys an evidential advantage over theism. But even granted that conclusion, it may still be the case that God exists. 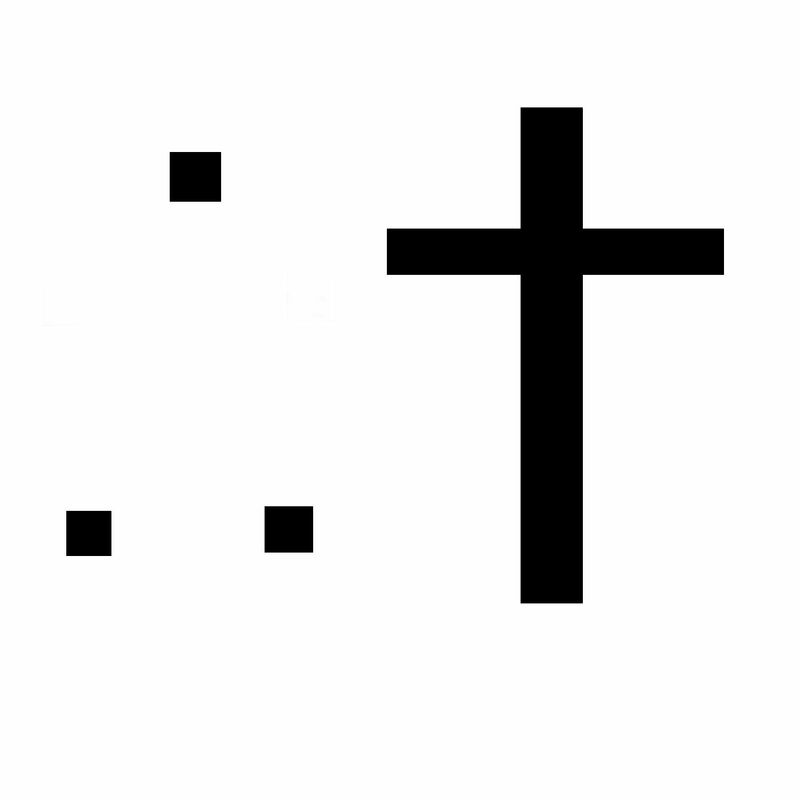 In fact, granting that conclusion, it may still be the case that Christianity is true. I am not drawing ecstatic conclusions on my own. Dr. Oppy admits this much in his conclusion. He writes in the final pages of his book that one may have “non-evidential reasons” for their faith. What is represented as “The best argument against God” has an extraordinarily conservative conclusion. Further, there are several steps to Oppy’s argument that I am not inclined to grant. These steps will be critical to tearing down theism’s cumulative case and reinforcing naturalism’s cumulative case.